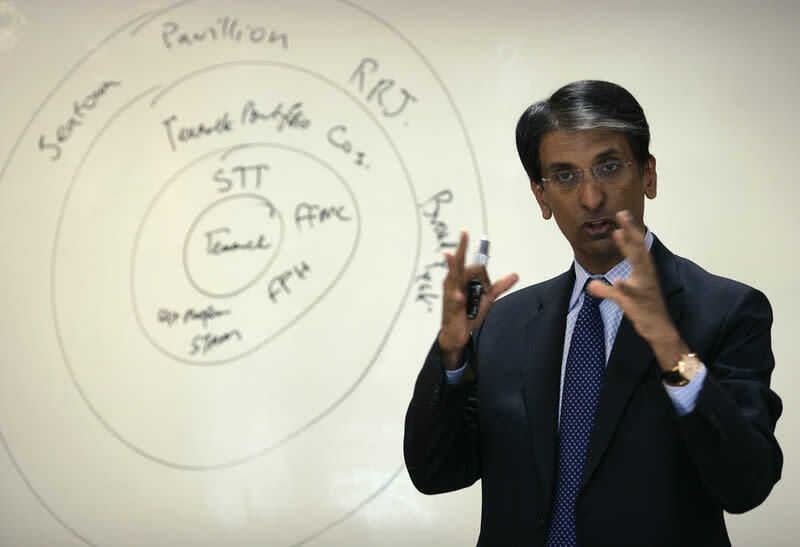 SINGAPORE (Reuters) - Singapore's Temasek International said on Tuesday Dilhan Pillay Sandrasegara will take over as its CEO, while its current CEO Lee Theng Kiat will become chairman next month. Temasek International is the wholly-owned management and investment arm of state investor Temasek Holdings - one of the world's biggest investors, with a total portfolio of S$308 billion ($228 billion) as of March 2018. The changes will see Lee take over from Ho Ching, the wife of Prime Minister Lee Hsien Loong, as chairman of Temasek International, the firm said in a statement. The statement did not mention any changes at Temasek Holdings, where Ho has been the CEO for more than a decade.